Held on the beautiful foreshore lawns of Coffin Bay, next to the yacht club. 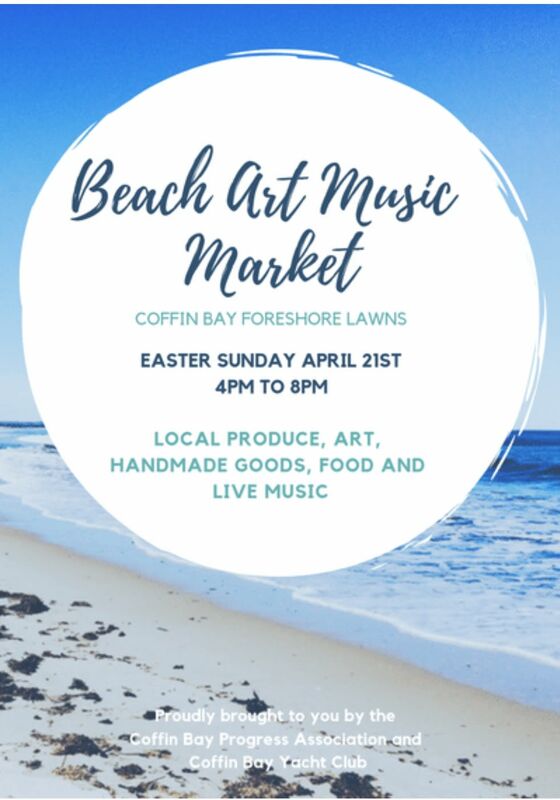 We'll have live band Azif playing in front of the yacht club, market stalls, art work for sale, food stalls and the yacht club will also be open for drinks and meals. All whilst enjoying the beautiful tranquility of the bay. Easter Sunday.